A to Z: The Real DC was launched at the DC Author Festival on October 18, 2014 at the MLK Library in Washington, DC. Napresha Parham and Marques Knight, two of the Reach teen authors/photographers, gave a reading of the poetic stanzas that accompany each letter in the book. Reach Incorporated develops confident grade-level readers and capable leaders by training teens to teach younger students, creating academic benefit for all involved. Founded in 2009, Reach recruits high school students to be elementary school reading tutors. Elementary school students average 1.5 grade levels of reading growth per year of participation. This growth- equal to that created by highly effective teachers- is created by high school students who average more than two grade levels of growth per year of program participation. As skilled reading tutors, Reach teens noticed that books they read with their students did not reflect their world. Only 3% of children’s books feature characters of color, and only 1.8% of children’s books are written by authors of color. 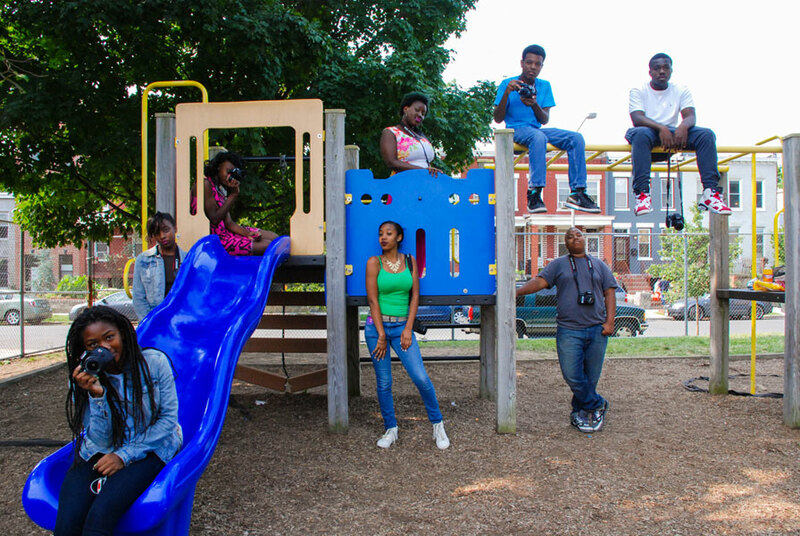 Reach’s tutors set out to change that, and have since created a series of professional-quality books capturing the voices and creativity of DC teens. A to Z: The Real DC is the first photographic book in the series. 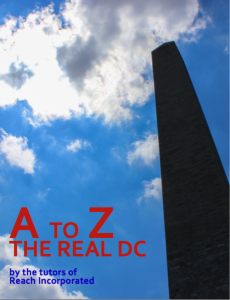 No Replies to "Shootback and Reach Incorporated release A to Z: The Real DC "